Another offensive assistant is on the move. Oklahoma State offensive line coach is headed to Texas A&M for the same position, according to TexAgs’ Billy Liucci. Henson, an OSU alum, joined OSU’s staff in 1999 as a graduate assistant. From 2001-04, Henson was the Cowboys’ tight ends coach and recruiting coordinator before he left for the same gig at LSU. 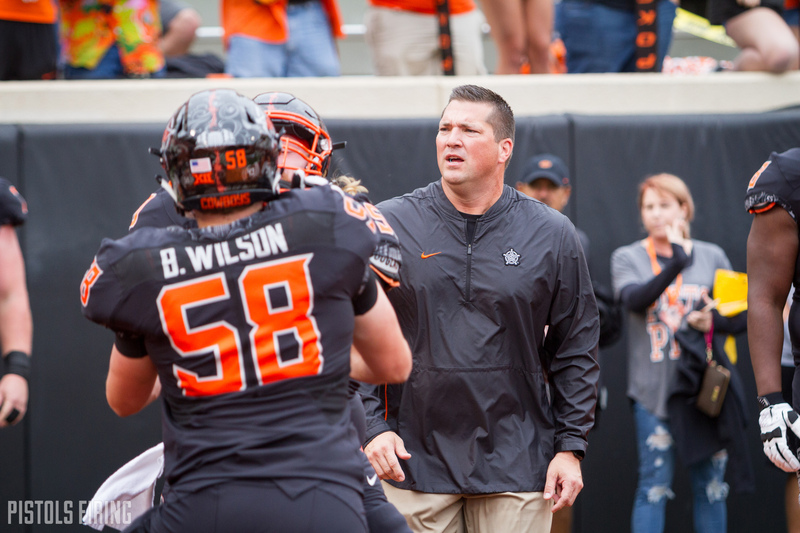 Henson returned to Stillwater as an analyst in 2016 after spending 2009-15 at Missouri, the latter part of which he was the Tigers’ offensive coordinator. Based off his experience, Henson was thought to be a top candidate for the Cowboys’ vacant offensive coordinator job, before former Princeton OC Sean Gleeson was chosen. With the move, Henson will rejoin A&M coach Jimbo Fisher. Fisher was LSU’s offensive coordinator from 2000-06, overlapping with when Henson was there from 2005-08. Henson was twice named a Top 25 recruiter of the year. In the past two seasons, Henson has locked up nine offensive line recruits to help rebuild a unit that majorly lacked depth before his arrival.